C.S. Lewis describes the capacity of great literature to introduce readers to experiences vastly different from their own. OBU English majors have the opportunity to experience what Lewis describes, as they analyze literature from classical antiquity to the contemporary era, and from the far reaches of the globe to right here in Oklahoma. Faculty and students engage with literature as the varied expression of human thought, culture and belief. Together they consider how the study of literature can cultivate Christian love and moral action. English is offered through the Division of Language and Literature in the College of Humanities and Social Sciences. What makes an OBU English degree special? In each English course, professors and students explore the integration of faith and learning. Ongoing discussions of literature and the writing process in light of Christianity take place in class, reflecting the English Department’s commitment to OBU’s Mission Statement: As a Christian liberal arts university, OBU transforms lives by equipping students to pursue academic excellence, integrate faith with all areas of knowledge, engage a diverse world, and live worthy of the high calling of God in Christ. For a school its size, OBU has a sizable English department. Nearly a dozen faculty members specialize in topics ranging from medieval studies to modern literature, from creative writing to Shakespeare. They are actively engaged in their fields, presenting at conferences and publishing both books and scholarly articles. Chloe Harrison of Duncan, Oklahoma is a senior English major with a minor in Literary Professional Editing. She is interested in every area of writing—whether it be creative, professional, or academic—and is currently writing a thesis on the role of the editor in American book publishing. In the summer of 2018, Chloe had the opportunity to study abroad with the Honors Program in London, England. This experience, along with her work on the Scriblerus, has led to an interest in pursuing a publishing career in London after graduation. Chloe is currently applying for job positions and graduate programs in publishing, hoping to learn more about the art of editing in the city she loves. What are OBU grads doing with their English degrees? Sigma Tau Delta is an international English honor society dedicated to academic excellence and promoting literacy. OBU’s chapter works to serve the community, host fundraising events on campus, and increase solidarity between English majors and faculty. OBU’s chapter regularly sends members to the annual Sigma Tau Delta convention, attended by students and faculty from across the nation. Students read academic papers, participate in roundtable discussions, share creative writing pieces, and join in enjoyable events like Bad Poetry Night. Creative writing students can submit works in the fiction and poetry categories, which are eligible for prizes. They can also help judge pieces, edit, and lay out the magazine. OBU is partnered with programs in countries across the globe. 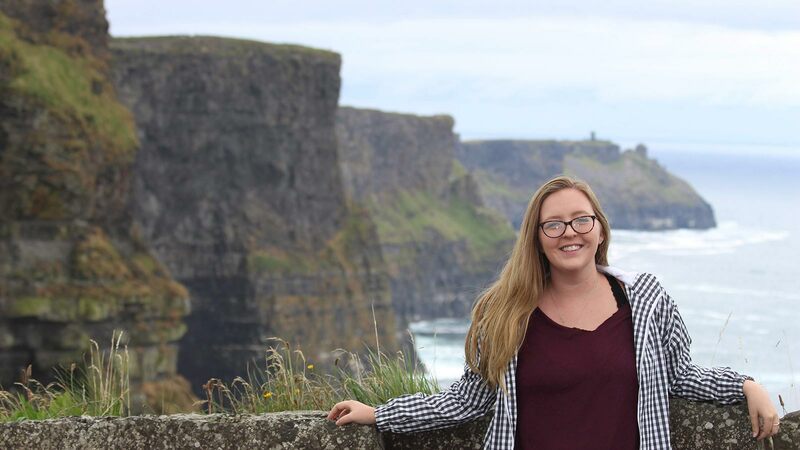 English majors have found study abroad especially rewarding, embracing opportunities to learn in Rome, London, Oxford, and beyond. Those enrolled in independent study work one-on-one with a professor to pursue deeper understanding in a topic that both are interested in. Oftentimes, independent study will lead to a thesis project. English majors can also apply to join OBU’s Honors Program. As Honors students, they can complete a thesis project in their final year at OBU. 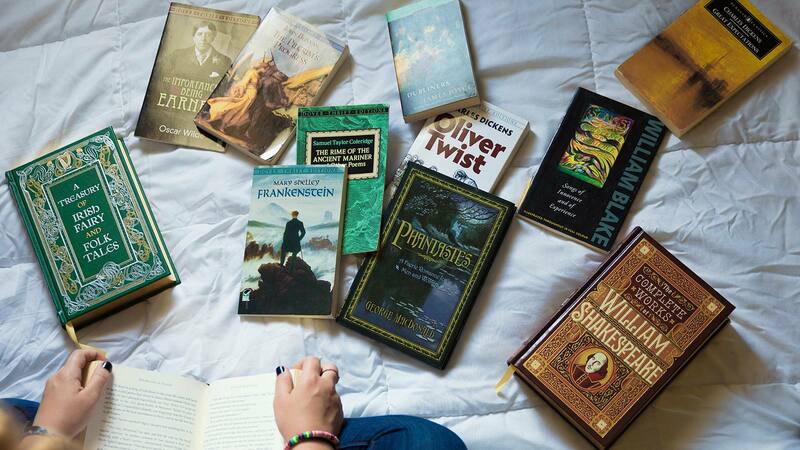 English majors have presented novellas and collections of poetry. They have also researched the evolution of the American novel and feminism in modernist literature. Learn more about the Honors program. Because English course requirements are so open-ended, students often enjoy enough elective hours to double major or double minor. Attend the monthly English Department meeting Half-Past Three to join in fellowship with faculty and other students while snacking on cookies and sipping coffee, join the Inklings reading and writing group to discuss/share fantasy and science fiction written in the vein of C. S. Lewis and J. R. R. Tolkien, and attend off-campus events such as the Scissortail Creative Writing Festival.